Can I batch convert PDF to flipbook and insert into Wordpress? I knew A-PDF FlipBook Maker enables users to batch convert multiple PDFs to flash flipbook, then I tried and tried and I just can’t make it work. Furthermore, it also can be inserted into Wordpress? If it can, please show me the steps as well. First of all, A-PDF FlipBooK Maker is really an awesome flip book maker to make gorgeous page flip magazine in four steps. Then there are diverse easy-to-use and helpful functions to enrich flipping brochure with your own fashion style. Anyway, if you want to convert multiple PDF to flash book, then batch convert can help you a lot. 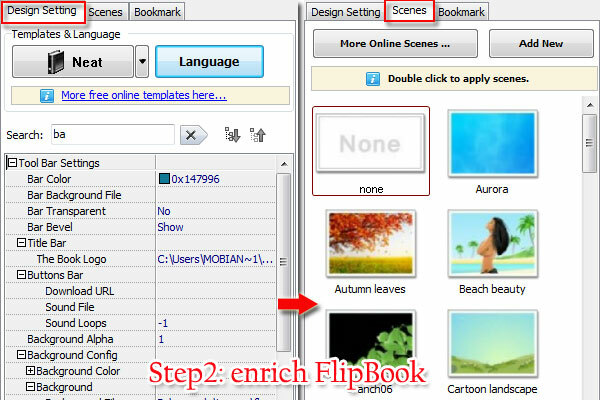 It will help you merge several file into a flipbook easily. What’s more, inserting flip book into Wordpress is a piece of cake for A-PDF FlipBook Maker. Step1: Convert Multiple PDF file to FlipBook. Download software, run the program and then click "Create New" and get "Import Multi-PDF files" to add file. Step2: Enrich Flip Book. Next is to embellish the flip book with diverse functions, multiple templates and themes, vivid scenes and so on. 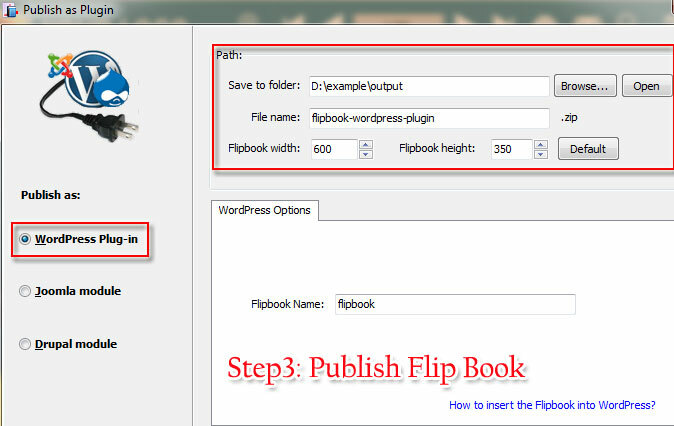 Step3: Publish Flip Book as Plug-in for Wordpress. Click "publish" and select "Plugin for Joomla, Wordpress and Drupal" to publish flip book out. 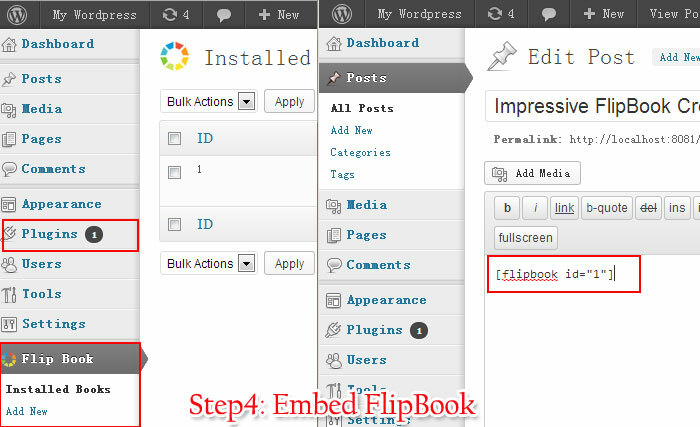 Step4: Embed FlipBook into Wordpress. Go to the Wordpress Website Admin Panel and then install the plug-in and make it show on the post easily.